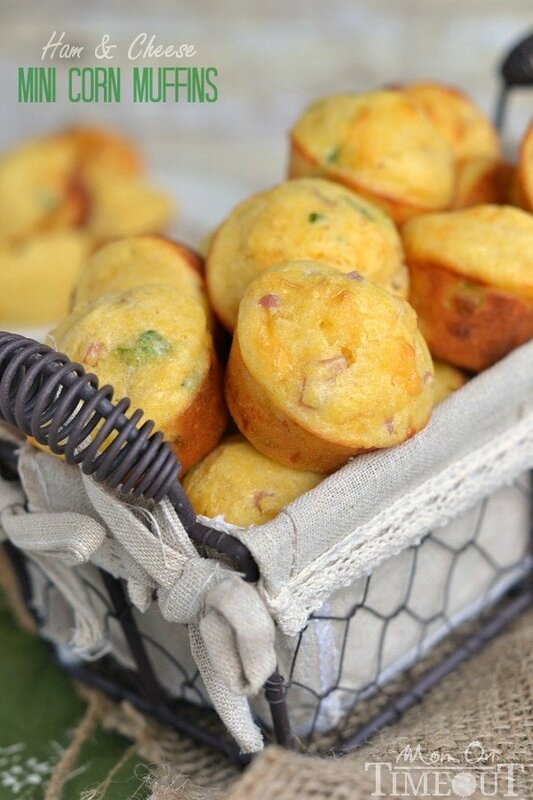 These Ham and Cheese Mini Corn Muffins make a delicious and satisfying breakfast, a yummy afternoon snack, and are the perfect addition to school lunches! So I just realized yesterday that we’ve got a whopping TEN days until school starts. Would it be super awful of me to say that I’m secretly looking forward to that? As much as I adore my boys, mama needs a break. STAT. Reece and Bryce are having the hardest time deciding on backpacks this year. I’ve bought no less than 8…so far. Reece just informed me yesterday that his Teenage Mutant Ninja Turtles backpack was a no-go and he really, REALLY needed a Guardians of the Galaxy backpack and it had to have Groot on it. I get it though. It’s a statement piece and in a uniform school like ours, you have to take every chance you get to show a little personality. I’ll be online searching for a Guardians backpack later. Please, if you’ve seen one in a store, give me a heads up in the comments. 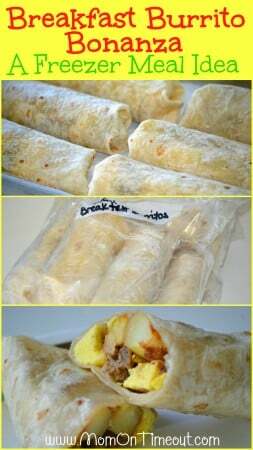 I’ve been preparing for school this past week, buying and making snacks, stocking our freezer with breakfast burritos, and generally getting a handle on the “school food” situation. 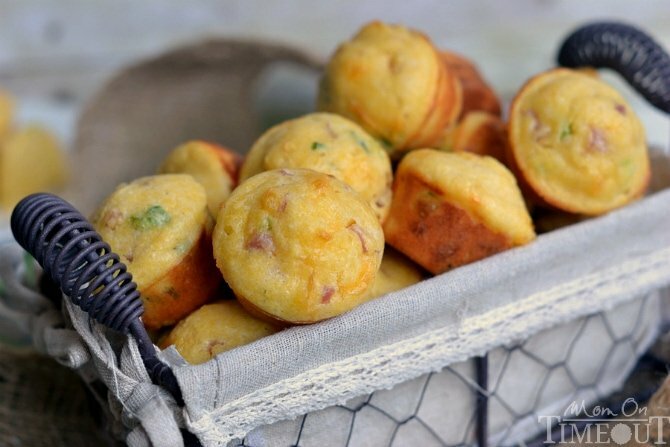 Mini corn muffins were a must-make and this version is spectacular. 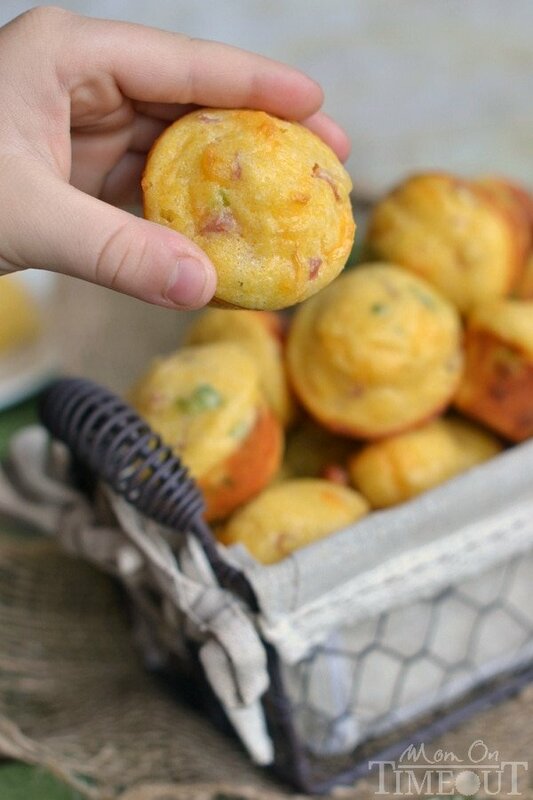 These Ham and Cheese Mini Corn Muffins kind of pull double or triple duty for me. Not only do they make a very delicious and satisfying breakfast, they are also great for lunch boxes, and after school snacks. Heck, these would make a great addition to any meal! This batch makes two and half dozen making it perfect for enjoying some today and freezing a bunch for later. The recipe could be halved if you don’t want quite so many OR you could make them full-size muffins and this recipe will yield 12 of those. I have always been a sucker for anything ham and cheese. Throw some chives or green onions in the mix and I’m sold. Grease a mini muffin tin with cooking spray. Combine flour, cornmeal, baking powder, sugar, and salt in a medium bowl. Whisk together milk, eggs, and coconut oil in a small bowl,. Fold in diced ham, cheese, and chives. Bake for 15 minutes or until lightly golden. Remove and let cool in muffin tin for several minutes before gently twisting and removing. 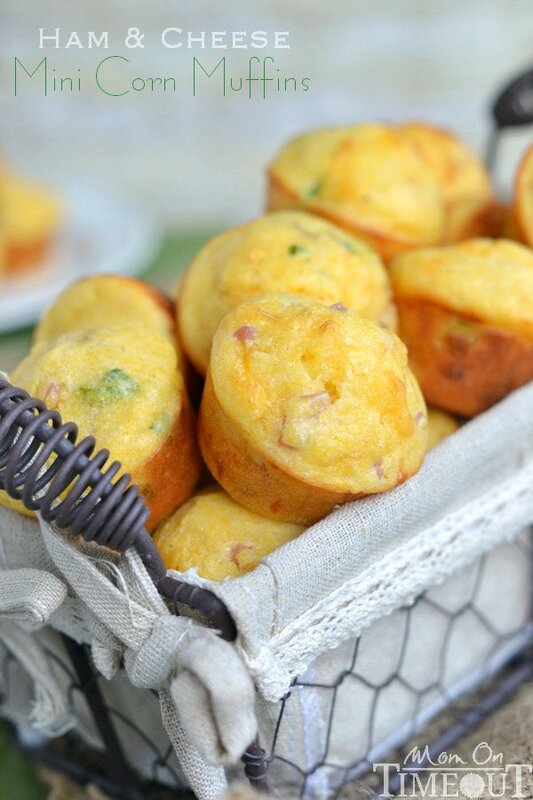 These muffins are so incredibly tender and moist and just cheesy enough to keep things interesting. I love the fresh flavor the chives add to the mix and that pop of color is just perfect. Can you leave the sugar out? Or substitute coconut sugar? Weeeell I made these for my 1 year old… but I ended up eating about 6 of them while they were cooling! Delicious. (she likes them too) Thanks for sharing! 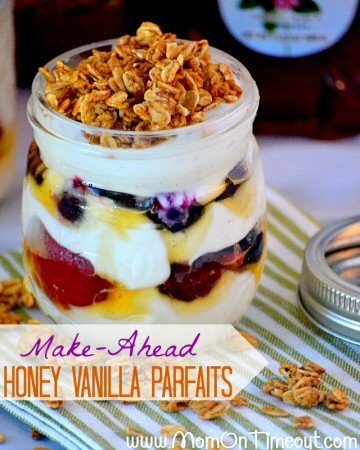 I’ve made this recipe a few times now and I love it! I substitute the coconut oil for canola oil and it’s always worked just fine. I also add 1/4tsp of chipotle chili powder or 1/8tsp of cayenne just to add a little something without the kids noticing that it’s “hot”. The recipe states 30 mini muffins but I usually get closer to 4 dozen (48 muffins). 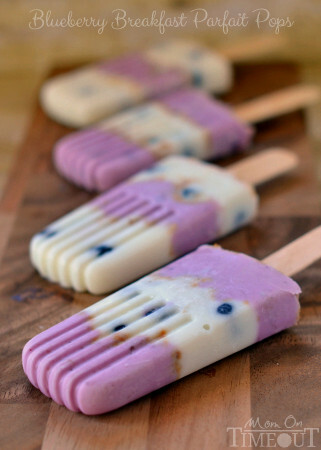 They also freeze well so you can always have some on hand incase of a grab-n-go breakfast or lunch emergency. Love it Katie! The cayenne and chili powder are such GREAT additions! Thanks for stopping by!